The brand’s Mission is – “To Make People Feel Good and Look Great”. 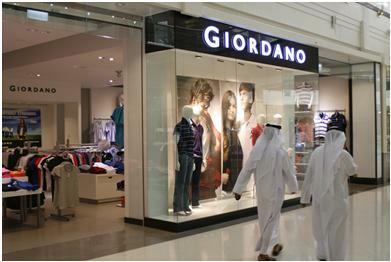 Giordano today is one of the top five clothing retailers in the whole Arab region. The brand’s merchandise mix of relaxed and smart casuals has proven popular for all age groups and nationalities, demonstrating the global appeal for the brand. Giordano’s brand philosophy is modern simplicity and style – where less is more and a style that accentuates and enhances an individual’s inner beauty through modern, classic and timeless clothes. 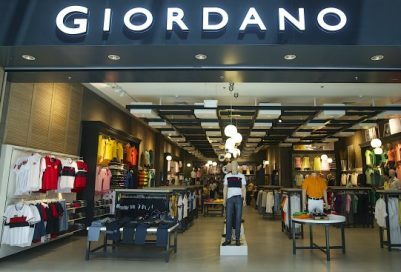 In an industry constantly adapting to changing trends that result in rising production costs, Giordano has developed a flexible approach to fashion retailing. Our office in Dubai, United Arab Emirates – Giordano Middle East FZE (Free Zone Establishment), was established in 1993 as a 100 % subsidiary of Giordano International and provides strategic support, logistics, and management to Giordano’s franchise partners across the region and is also responsible for Giordano’s Expansion and Franchising across the Globe. The average sizes of our stores are between 1000- 2000 square feet. The brand also operates large format / flagship stores of over 7,500 square feet in key locations. The strategy is to select accessible and effective locations so that Giordano stores are within easy reach of all customers. Since its inception in 1993 with the first retail outlet at Bur Juman Centre, Dubai, Giordano Middle East now operates 240 stores in 23 countries across the region. Another initiative takenwas to launch our other brands, Giordano Jr., Concepts One and BSX in the region. This was done to attract different market segments. Conscious efforts were also made to change the merchandise mix and thus cater to the new needs of its customers. Exceptional Customer service by well-trained employees. Giordano has evolved in the last 30 years from a basic mass market retailer to one that provides quality product, world class customer service and exceptional value to its customers. In the dynamic world today it is important to evolve and continuously address the needs of the consumers and the markets. The brand has consistently built emotional ties with its customers and strives to provide its customers with an exceptional shopping experience. There are several initiatives taken to ensure that the brand is able to sustain its growth. Communication with customers through personal calls, regular SMS, HTML’s, emails, and newsletters ensures that customers are kept up to date on the brands products and services. This also enables the brand to get feedback from its customers, which is integral to our development and ensures that we deliver what the customer needs. The brand has a very innovative and real time retail system which links all its stores globally. The system which has been developed in-house and is totally customised to ensure that the brand has the information required for its buying, sales, and other relevant functions. This enables the brand to take informed decisions on inventory, customer profiles and requirements.. The system enables the sales and the buying team to review stocks, sales and other relevant information in real time for any of its stores or markets. Relevant reports can be generated as required to enable the management team to plan and implement effectively. The brand has a very efficient and effective inventory management system which links all its retail stores and markets. This enables all markets to have real time information and ensure that it manages an optimal DOI (days of Inventory). Corrective action can be taken promptly for any variances from the standards set, thus ensuring optimal use of resources both regionally and globally. The corporate value of “Simplicity” is followed at all levels thus ensuring Speedof operations. The business model ensures that processes are simple and efficient thus creating value for its customers. It is from Simplicity that all our other values follow. By keeping it simple, you become more nimble to streamline your operation and allow you the speed to make changes as and when required. All of the above ensure that Giordano is able to maintain its competitive edge and can face the day to day challenges of the retail world. 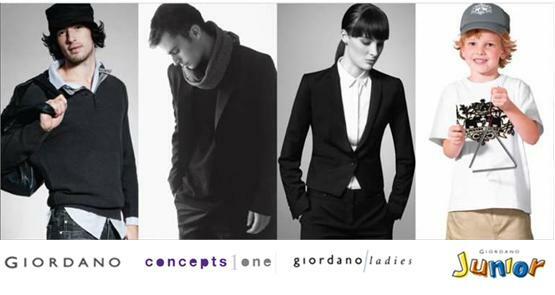 Simple pleasures of basic fashion – that is the driving force of Giordano. Giordano’s styling always revolves around what is relevant, essential and functional. The look is relaxed and the merchandise can easily be mixed together to match any occasion, mood or place.Customers can be assured “to feel good and look great”. The product development team works continuously on product innovation to provide product differentiation and enhanced valued for the customers. There is continuous process of innovation keeping in mind customer and market needs. Giordano has always been the leader in innovative marketing and advertising techniques. Creativity and differentiation is the key and Giordano aims at all times to bring something new to the region. The brands strongest marketing tool is its stores, which are strategically located at most of the malls, residential areas and business districts in order to be easily accessible to its customers. While the normal channels of marketing and advertising are used by the brand, the stores become one of the most powerful tools to communicate and interact directly with customers. Well-designed stores, creative displays, strong visual merchandising and store ambience, all ensure that the customers have a pleasant shopping experience and are attracted to the brand. The corporate web-site is used effectively to communicate with the customers on new merchandise, seasonal campaigns, promotions, and various other activities. Newsletters and mailers are sent to ensure regular communication with the customers. Careful planning ensures that all marketing communication methods are aligned to consistently position the brand in the market. Providing exceptional customer service is a key objective for every employee. Staffs undergo continuous training in customer service and are monitored and assessed on a regular basis. Consistent and exceptional service providers are recognised and rewarded through the monthly staff awards scheme. The brand keeps contact with its customers and solicits feedback on an on-going basis. Giordano has always focused on exceeding customer’s expectations in terms of merchandise and service. It has initiated many additional services such as complimentary alterations, global exchange policy, and a customer service toll free hotline. The brand launched its WWS – World Without Strangers-it’s global and card less loyalty program in 2007 with the objective to reward its loyal customers. The USP of this program is its global presence, the simplicity of its usage and your mobile number being your personal identification or membership number. Customers are able to get discounts and accumulate points on every purchase they make and can also access their information online and or on their mobile phone. TThe Program has received a tremendous response since its launch and today has over 8 Million WWS members globally. Giordano was recently listed as one of the Top 100 Companies Making a Difference in the Arab World by the prestigious Forbes magazine. The company also received the 2013 Global Emerging Market Retailer of the Year award in London, UK from Retail and Leisure International (RLI).